Stewart Robertson Interview with Bruce Duffie . . . . . . .
Scottish born conductor Stewart Robertson thrives on a wide range of musical interests. He has become particularly associated with the music of Mozart, Beethoven, and Britten, and his close involvement with new music has led to him having conducted over 100 orchestral and operatic world premieres. 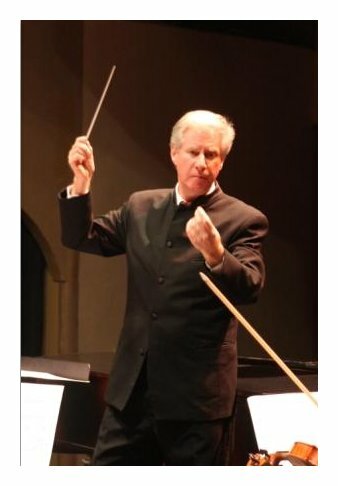 He is Artistic Director and Principal Conductor of the Atlantic Classical Orchestra in Florida and has been named Music Director Emeritus of Glimmerglass Opera in recognition of the phenomenal musical growth the company achieved under his direction over two decades. Robertson gained his early experience at the opera houses of Cologne and Zurich, and at Scottish Opera where he was Music Director of the touring company. 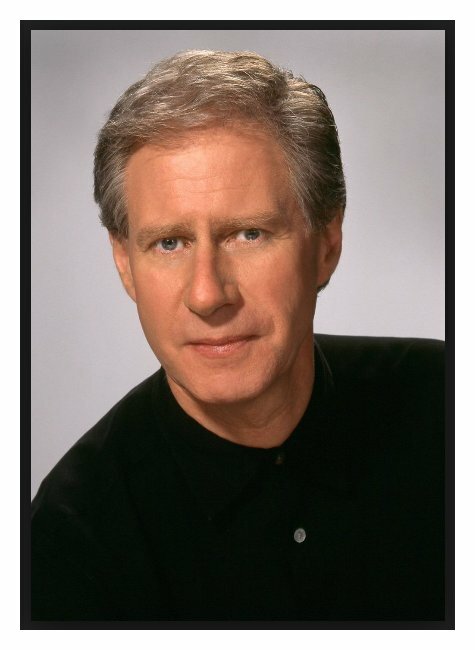 Subsequently he became Music Director of the San Bernardino Symphony and the Santa Fe Symphony Orchestra, where he was champion of new music and a frequent broadcaster on National Public Radio. Additionally, he has enjoyed two highly successful periods as Artistic Director of Opera Omaha, and Music Director of Florida Grand Opera in Miami. Equally at home in the concert hall, Robertson has led performances with orchestras as diverse as the BBC Scottish Symphony Orchestra, the Hong Kong Philharmonic, Louisville Orchestra, Netherlands Symphony Orchestra, Mecklenburg Staatskapelle, Buenos Aires Philharmonic, Sicily Symphony Orchestra, Orchestra Sinfonica Nacional of Mexico, the North German Philharmonic, and the City of Birmingham Symphony Orchestra. Highlights include performances at the Lille Festival in France with the Orchestra of Maastricht with Igor Oistrakh as soloist, and at the Concertgebouw with the Ukraine State Philharmonic. He has also led this orchestra both in Kiev and on tour in Holland and has recorded with them symphonies of Shostakovich, and Prokofiev. Robertson made a highly successful debut with the Arturo Toscanini Philharmonic Orchestra and the chorus of the Maggio Musicale Florence conducting the closing concert of Italy’s famed Festival of the Nations in Citta di Castello, Umbria. His operatic appearances include New York City Opera, the Lyric Opera of Chicago, the companies of Montreal, Detroit, Philadelphia, the Deutsche Oper am Rhein, Dusseldorf, the Norwegian National Opera, the Jesi Festival in Italy, the Wexford Festival and Opera Ireland in Dublin. 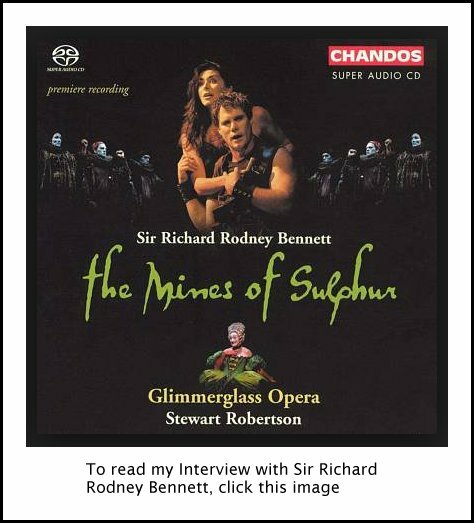 Robertson’s recordings with the Royal Scottish National Orchestra, Utah Symphony, Ukraine State Philharmonic and Glimmerglass Opera can be heard on the Chandos, Naxos, New World and Verdi/ EMI labels while his recording of Sir Richard Rodney Bennett’s opera The Mines of Sulphur was nominated for a Grammy Award [see photo (with link) at right]. 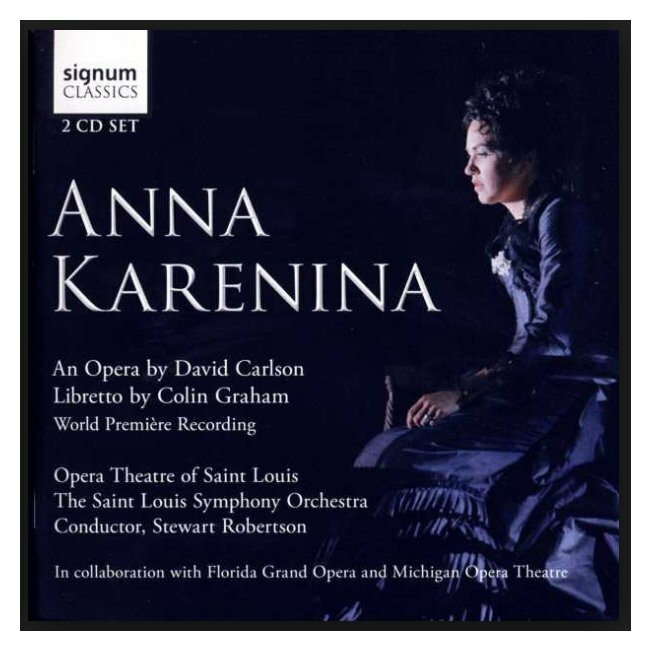 His world premiere recording of David Carlson’s Anna Karenina with the St. Louis Symphony has recently been released on the Signum label, and his interpretation of Puccini’s La Bohème at the Puccini Festival in the composer’s hometown of Torre del Lago gained the unique distinction of becoming the first performance of the work by a non-Italian conductor to be released by the Festival as a commercial DVD. In the USA Robertson’s performances have been televised by PBS on both the 'Great Performances' and 'Live from Lincoln Center' series. Other guest engagements include appearances with Orchestra London, Canada, Symphony Syracuse, the New Jersey based virtuoso string ensemble ARCO, Fort Worth Opera festival, Opera San Jose and a return to Glimmerglass to conduct Copland’s The Tender Land. Further events include performances with the Cape Cod Symphony, Utah Opera, Opera Omaha and a return to The Fort Worth Festival to conduct the Marriage of Figaro. 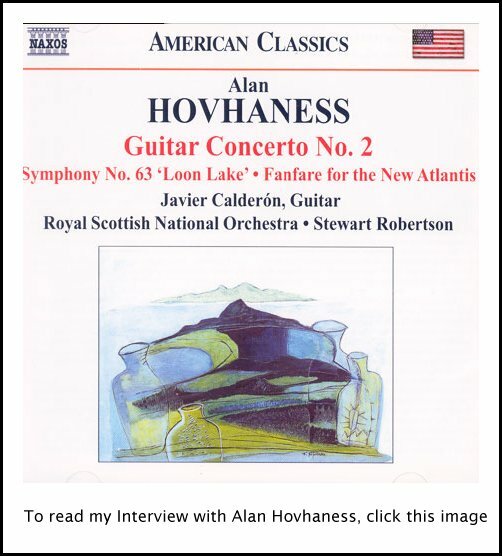 He has received much attention for his innovative work with the Atlantic Classical Orchestra, an orchestra based in Florida but drawing its personnel from throughout the USA. There, Robertson has developed a style of programming that is rich in its variety along with a presentational format that is both informative and audience friendly. Robertson’s lectures and seminars have become an integral feature, and contributed to the orchestra having doubled its concert attendances over the last three seasons. Flying in the face of the current recession and under Robertson’s direction, the Atlantic Classical Orchestra has embarked on a period of dynamic growth. Future plans include international touring and a series of recording projects, beginning with a disc of Schumann orchestral rarities including the Violin Concerto with Elmar Oliveira as soloist. A native of Glasgow, Scotland, Mr. Robertson is a graduate of the Royal Scottish Academy of Music. He studied piano with Denis Matthews, conducting with Otmar Suitner at the Mozarteum, Salzburg and with Hans Swarowsky in Vienna. He is married with two children, and he and his wife Meryl are, as a diversion from professional activities, attempting enthusiastically to restore a castle in Argyll, Scotland. In May of 1994, Stewart Robertson was at Lyric Opera of Chicago to conduct the world premiere of Orpheus Descending by Bruce Saylor. About a week before the opening night, I had the chance to speak with the maestro, and we chatted about several different things relating to opera and his career. We began by talking about his commercial recordings . 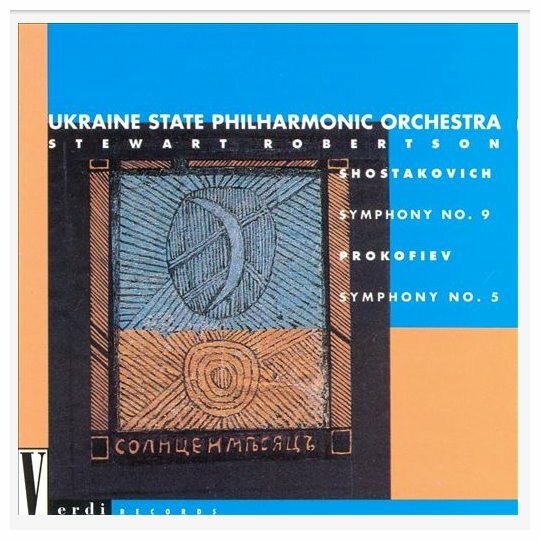 . . . . . .
Stewart Robertson: These were studio recordings and were made in Kiev, with the Ukraine State Philharmonic Orchestra. We made them in Kiev last September. Bruce Duffie: How do the Ukrainians take to western conductors? SR: The language, yes! It really is a problem. There were very few people in the orchestra who spoke any passable English, but their passable English was infinitely better than my Russian. So we had to master a few simple things, like some letters and some numbers. BD: Didn’t they know the Italian, as in allegro and con brio, etc.? SR: That’s right, but if you want to say, “Five bars before Letter F,” you have to be able to do that. So I had to get that down a little bit, and things like “please” and “thank you” and “that’s terrible” and “that’s flat!” But it was really interesting. It was an exercise in non-verbal communication, or at least in gesture and singing. In fact we had a very good time and I build up some real friendships. In fact I’m taking that orchestra on tour in November and December to Belgium and Holland. BD: Are you music director there? SR: No, it’s just purely a guest engagement. It’s about a two week tour. We do Rotterdam and the Concertgebouw in Amsterdam, The Hague, Nijmegen, Antwerp. I think we go to Brussels as well. BD: When you prepare that orchestra, or any orchestra, is all your work done at the rehearsal or do you leave something specifically for that night of performance? SR: I don’t know that I can say that I cool and calculatingly leave something for the performance, except that there is always adrenalin and momentary inspiration, if you will. Things happen a little differently in performance, but honestly you sow the seeds of things that you’re going to do. I think it’s imprudent to suddenly take off at an incredibly new tempo, for instance. BD: Wouldn’t it keep them on their toes? SR: Sometimes it does. A lot of it does come out of the moment. I tend to plan things very well because I’m Scots Calvinist and I start bringing it all out. I tend to have things fairly much under control in rehearsals, and then when we get to performance I let them run, but within the framework that’s established. I’ll push to the edge a little bit. BD: Is this different when you’re in the pit as opposed to on stage with an orchestra and no singers? SR: One has a bit more control, shall we say. The possibilities for wild spontaneity in the concert hall are greater than in the pit, because there are simply so many other things going on. You’ve got singers over at Stage Right, you’ve singers up on Stage Left, you’ve got all sort of mechanical devises getting in between yourself and the music. So if you do something that’s completely unpredictable, the chances of it failing are fairly high, compared to having seventy or eighty musicians sitting in a well-lighted and ventilated room, looking straight at you. There you have a bit more flexibility. BD: With the opera, do you ever find that you are following some of the singers if they get lost, or they decide they want to try something themselves? SR: Oh, absolutely. It really is team work, and for me that’s what makes opera a lot of fun. I’ve always likened it to playing a ball game. You are the singer and I’m the conductor and the music is the ball. I have it and I bounce it around a little while, and then I throw it over to you and you throw it and you run with it, and then you pass it back to me again! There are certain moments that are, shall we say, singer-driven, and other moments that are orchestra-driven. As the conductor, the catch is to keep that all within some kind of coherent structural framework. Having passed the ball over to the stage, if they run with it a little too far, then it’s my job to try and pull that back in, to try and keep the framework, keep the structure. BD: So you’re always playing and managing the team? SR: Yes, and sometimes it’s on a short lead and sometimes it’s on a long one. But that coming and going, that elasticity between singer and conductor is what really makes it tremendous fun. It’s the same as the violin concerto or piano concerto. This is your moment. You determine how that rallentando goes, and then it’s mine again. BD: You wouldn’t rather all always conduct symphonies where it’s the composer’s show rather than a different performer’s show? SR: I think that element of team work is germane to anything, whether it’s symphony or opera. If we’re in the middle of a symphony and there is solo oboe moment — if he suddenly expands the middle of a note because he hits a particularly beautiful resonance in the instrument and decides to expand it a little more — one uses that moment. It’s not that the oboe player has control of that moment and I lose it; it’s that this is the moment of reality within the music. You then take that moment and maybe decide to balance it with a slight accelerando or a rallentando later on. That’s teamwork. To me, that is the essence of live performance. That’s what makes any recording, no matter how good it is, a pale replica of what happens in the concert hall. That’s the whole thing about live music making. It’s like a sporting event in the sense that anything can happen at any moment. BD: And the tape of that sporting event will not have the excitement? SR: I think not. There is something that happens. There’s an electricity that happens there. It’s the fact that one is there present at a communion of minds rather than a dictatorship. BD: Does this whole balance change when you’re playing a standard work as opposed to a brand new work or even a world première? SR: To a certain extent. With a new orchestral work it could be assumed that the conductor would have more preconceived ideas, more fully formed opinions about how the piece go than the orchestra will. They’re seeing it for the first time and they may only have three or four rehearsals. It’s probably more likely that they will take a more direct lead, even in matters of individual phrasing, from the podium. But a measure of the success of the piece and the acceptance of the piece is when it gets past that point. It’s wonderful to get a piece so familiar with the orchestra that we really can play together. Orchestral conducting is chamber music — big chamber music — where one person is essentially responsible for the balance and overall shape. That’s the way I look at it. BD: Is opera a bigger chamber or just different from chamber music? SR: [Laughs] It’s a different kind of chamber music. It’s impossible to generalize. Obviously some categories of opera are a vehicle for singers, the bel canto school. BD: So Aïda is going to be different than La Serva Padrona? SR: Absolutely, and Sonnambula will be different from a Wagner opera. Sonnambula will have a much greater degree of latitude on the part of the singer because it’s about improvised cadenzas and embellishments and ornaments, and the beauty of tone at a certain moment. While all that is certainly true of Richard Wagner’s music, the overall shape plays a much more important part. So there, greater adherence to the musical text of the piece tends to be a bit more predetermined. It’s very difficult to be specific about opera as a general art form. BD: You’re here in Chicago at the moment to do this brand new opera by Bruce Saylor, so let’s talk a little bit about that. How did you first get involved with it, and were there ever any doubts to whether you wanted to conduct this work? SR: I had got to know some of the folks at Lyric Opera through another conducting colleague, an old friend of mine, Richard Buckley, who’s just did the Wozzeck in Chicago recently. [See my interview with Richard Buckley.] That was one form of introduction. It so happened that Rhoda Levine is the stage director for this piece, and we had worked together somewhere else. I had conducted the world premiere in St. Louis last summer of David Carlton’s opera The Midnight Angel, to which Bruce Saylor, the composer of Orpheus Descending, came and Irene Monet, who’s responsible for the young artists program here at the Lyric Opera had come. So there was a series of things that happened that made the decision possible that I would conduct this opera. BD: It seems like it was more or less inevitable! SR: In a way! I did admire Bruce’s music for a long time, although I hadn’t ever performed any of it. BD: How early on did you get the score? SR: Bruce has been writing for over a two-year period and has been revising it. I got bits of the score about a year ago, so I was able to look and see how it was going, and it looked very, very promising. As he finished, the singers would workshop it here, and then they’d pass it along to me and I would get another bit, and get half a scene, and then six weeks later I’d get the next scene, and so on. BD: Were you ever correct in your anticipation of how the next scene would look from the pieces you already had? SR: No! [He laughs] I try to keep relatively an open mind, and was very pleasantly surprised the return. I was a bit concerned at the beginning with how the piece overall would turn out, as the play, Orpheus Descending of Tennessee Williams is very long. It tends to be, shall we say, slightly Southern Gothic in nature, and I was a bit afraid that the piece would be too long. 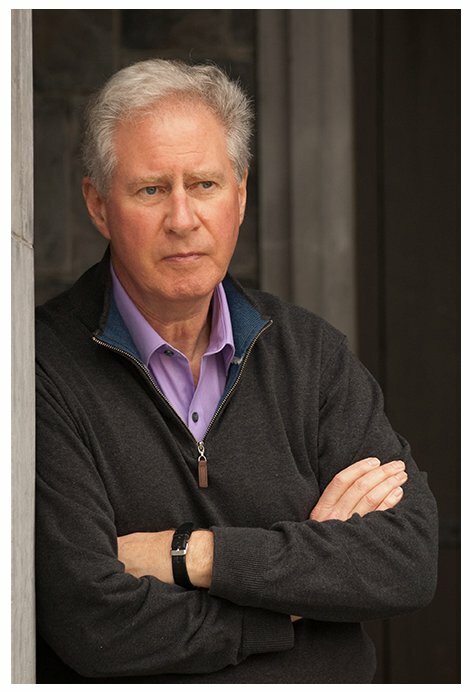 But I think both Bruce and Sandy McClatchy, the librettist, have done a very first rate job in taking the essence of the play. They’ve entirely kept Mr. Williams’ lines. They’ve just dispensed with a lot of them that were duplications that needed the clarity of the musical text. So we really have a very concise piece. BD: I assume you wouldn’t need some of the description because people would be seeing that on the stage. SR: Exactly. In fact you don’t need a lot of description in opera. Opera is not about, “Who’s that at the door? I’m going to the door now, and I’m opening the door. Ah, is it you?” You don’t need that sort of stuff. You just do it. BD: Is that what opera is about — just doing it? SR: Action! Action balanced maybe with philosophy. BD: How do you balance the action with the sound? That’s the Capriccio question, the balance between the music and the drama. BD: Is there a right way, or should we just continue to attempt it? SR: We should continue to attempt it. Every age, every decade will come up with new and interesting conclusions. It is the nature of some pieces to be more discursive, like Capriccio. It is the nature of other pieces, like Mathis der Maler [Hindemith], to be ruminative, to be more philosophical. It’s the nature of other pieces, like William Tell [Rossini], for instance, to be grand spectacle, and the nature of yet others, like The Turn of the Screw [Britten] to be psychologically perceptive, without too terribly much being said. There are as many solutions to what opera is as there are endeavors to write an opera. BD: Do you know yet which category Orpheus Descending is going to fall into? SR: [Ponders a moment] That’s a very good question. BD: Is it perhaps still too early to know where this opera fits in, since we are speaking a few days before the premiere? SR: Yes, yes it is. The piece is about several things. It’s about the frustration of one woman, Lady, and a young man, Valentine Xavier, who has fallen in with the wrong crowd, and as a result of that loses his opportunity to make good. It’s very, very difficult to see how an audience will react. It’s a bit of crystal ball gazing to try and actually predict what an audience is going to take away from this, or to declare that this is what this piece is about. You ask me a very hard question. Here we are, a week or so before opening, and I’m so involved with the text that the dotting ‘I’s’ and stroking ‘T’s’ of the text that the basic picture here is sometimes very difficult to get a hold of. We’ve come full circle to a question you asked earlier about performance. A lot of those solutions will come, actually, in performance. It’s as if you have to bring something to the boil to be able to really see clearly exactly what it is about. I’ve had some odd moments of heightened intuition or clarity that have come in performance, and these are very difficult to describe. I remember one time conducting a performance of Mahler’s First Symphony, and as we started with the last movement, it was almost as if somebody had done a fast forward on a video tape. In the space of a couple of seconds, I saw the whole shape of the last movement with all the rallentandos and everything. It was like watching it on a page in front of me, and I knew exactly where to go. BD: So it was really a visual thing for you? SR: Yes, a sound-visual thing. It’s as if suddenly a door opens in time, and you see the shape of the entire piece. Now that all sounds very fancy and sort of arty, but I can only tell you that this happens sometimes. Your mind goes into some kind of overdrive and you become intensely aware of what a piece is about, or what the shape of the piece is in one moment in time. That comes with the act of performance. BD: Will that flash of inspiration — where you see everything at once — be different during different performances then? SR: Hopefully it will grow. We ran through the opera for the first time the other day, and there were a couple of moments that I realized I had to do differently when I saw them in context with the whole piece. There’s the moment where Lady and Val finally get together near the end of the piece, and Val says, “I’m going to tell you something that I never have told anybody. I love you, Lady.” He’s never said that to anybody. He’s been so sought after by many, many women, and he makes this statement. They have this moment together where they stop singing and there are two bars of very beautiful radiant orchestral writing, and it seemed to me suddenly at that moment that it needed to be expanded to balance all the acid moments earlier in the piece. When I describe it now it seems to me to be a perfectly logical thing to do, except it had not occurred to any of us to really do that until we actually did it. BD: Not even to the composer? SR: Well, he’s written it. I suppose he’s written it that way, but what we were doing was taking it not one step further but really making the most of that moment. It became clear that was what we had to do, but it came out of context. SR: Yes, exactly, exactly. There are precisely those moments. SR: Yes. Do you mean interpretative choices, or moments with the actual score? BD: Working with the composer you can tinker with it and make the adjustments. Does this in any way alter the way you would approach a score by someone who is no longer available to tinker? SR: [Laughs] Um, yeah, you don’t! One leaves things alone, given that it’s a good piece. BD: Is it safe to say to assume that the tinkering has all been done? SR: Again, it all depends on the piece. If you’re going to conduct a production of The Barber of Seville, Rossini was known for his adaptability, shall we say. There are all sorts of ways that one can cut that opera. But there is a precedence set for that. The composer himself allowed such things, and in fact suggested such things. If it’s a piece like Rheingold [Wagner] or Fidelio [Beethoven], there we have a completely different scenario. Both of those pieces are symphonically conceived and constructed, and it’s more difficult to cut those pieces, so one really should not. You have to try as much as possible to be true to text, and you have to go with what has been set up by the composer, whether that’s a strict adherence to the text or a willingness to change. BD: What advice do you have for someone who wants to compose opera these days? SR: Watch opera, go to the opera house, sit in hundreds of performances. And not only sit in performances, go and watch staging rehearsals. Really develop a sense of theatrical timing, and go to the works which are good operas. Go and listen to the works of Benjamin Britten. See what makes those effective. Go and look at Lulu [Berg]. BD: What is it that makes a good opera? SR: [Bursts out laughing] Oh my goodness me! Something that completely elevates and transcends the text, that can shed light on the emotional state of the characters, or impart some kind of truth or dignity to a piece that the words alone cannot do. A piece in which the orchestra and the structure of the music and the use of ‘leitmotifs’, of musical forms, etc. is used in a way shed light on what’s happening on stage without the necessity of the character actually having to explain it. It’s the complete senselessness of all art forms. It’s a challenge dramatically because there’s dislocation of time that we spoke about earlier on, as well as the flexibility of the in and out of real time and what you do when you’re not in real time. What is the purpose of this, and at which point do we go back into real time? How do we use symphonic techniques? Are the symphonic techniques in the repetition and variation of motifs? Are they going to get in the way, or are they really going to carry the drama forward? There again, you look at the scores of Benjamin Britten and the way he will use a melody that has been set to a certain text before, and he will bring that melody and perhaps underplay it underneath some completely different text. You know there is a sub-text there simply because of the way the piece is constructed musically. And just because there is a musical structure underneath the surface, you don’t necessarily have to listen to that. It’s a glue; it’s the thing that makes the whole thing ‘cohese’. There is a wonderful story of Berg before the world première of Wozzeck. He gathered his friends and students into a room on the afternoon before the world premiere, and went through the whole opera with them at the piano. He told them that this scene was variations, and explained sonata form, and that this was a mirror of this, and so on. Then, having given this great technical analysis of the score along symphonic lines, he then said, “Let’s go to the opera, and why don’t you just now forget absolutely everything I’ve told you!” That’s the litmus test right there. BD: Well, what should the audience be expected to bring to any performance of an old opera or a new opera? SR: An open mind. It’s an old fashioned word, but they should be absolutely entranced and overwhelmed. They should not expect performances always to sound the way they sound on recording. Because Mr. Sherrill Milnes does it one way doesn’t mean to say that there are not half a dozen equally valid ways of doing it. [See my interviews with Sherrill Milnes.] We, as record consumers, are very guilty of defining ourselves by the particular recording that we have. BD: And it is usually the first one that we get! SR: Absolutely, yes. I’m absolutely as guilty of this as anyone else. I just recently recorded Prokofiev’s Fifth Symphony, and in doing so I went back to all the old recordings I had grown up with. There was a recording that I listened to over and over and over again in my mid-teens with the Suisse Romande Orchestra and Paul Kletzki the conductor. I thought this was the absolute be-all and end-all, but in going back to that recording — which I hadn’t listen to in years — I was shocked at how inappropriate I now find that recording. This is subjective, but I find the tempi to be quite eccentric, and the playing is really kind of muddy. Now that may not be the case, but I simply am not in that spot anymore. Yet at one time — whatever it was, maybe thirty years ago — I happened to think that it was absolutely the way that Prokofiev Five goes! BD: When you listen to this old recording, it will not have changed one iota in thirty years. Might we be completely wrong, or have we completely changed in that time? And does this also hold true for live performances stored in our memories? SR: I don’t know that there is ‘wrong’ and ‘right’ here. This goes back to the essence of live performance. What is right is the communication of the moment. A piece of music, unlike a painting, is something that exists in time, and the beauty of that can be different every time that we hear it. Our aesthetic perspectives change. Not only our individual perspectives change, but also our perspectives of what we believe to be authentic performance practice. Take the way that one would have played Beethoven Five. Fifty years ago, certainly it would be quite different from the way we would do it now. Listen to those old Bruno Walter recordings of the Mozart symphonies! They’re really wonderful and they have a dignity to them, and I’m a big Bruno Walter fan, but I would never ever dream or dare of performing the G minor Symphony, for instance, at the tempo of that old recording! That was a heavier, more ponderous way of playing Mozart. We now believe that we are right, and that the latest musicological research shows us that there was a much more light tone. The fullest part of the tone was not at the beginning, but it swelled to the middle. Now, of course, that’s the way we do things there, and in twenty years along may come a new set of young musicologists who jolt us old guys out of our perceptions. That’s the wonderful thing about music, that it continually changes. BD: Is this evolution, then, the purpose of music? SR: [Ponders a moment] It opens a door on the infinite in our lives. It shows us, for the want of a better word, a spiritual realm that we seldom pay attention to, and that we disregard at our peril. BD: Are you at the point in your career now that you expect to be at this age? SR: I think so! Things have been moving in a rather interesting fashion in the last few years. As you probably gathered from my accent, I’m not American. I grew up in Scotland and worked until I was 30 in Europe at the opera houses of Cologne and Zurich. I conducted a lot of ballet and quite a lot of orchestral music. Then in my early 30s I came to live in this country, and worked almost exclusively here for about ten or twelve years. Now the interesting thing has happened is that my career has branched out back to Europe again, and I’m spending about two-thirds of my year in the United States and about a third of it in Europe, which is nice. My time divides, I would say, almost equally down the middle between opera and symphonic work, which again is very satisfying. Recordings are beginning to happen and I do get the opportunity now to indulge myself. [Laughs] In fact, my wife calls it my jackdaw mentality, my flying around picking up shiny objects that take my attention. I do have a sort of insatiable curiosity for music. There’s a tremendous variety of music out there. There’s a wonderful, wonderful world of music quite past the Brahms and the Beethoven symphonies and the Verdi operas, wonderful as those are. BD: From this huge array, how do you decide which you will spend time on and which you’ll present? SR: There are two things here. You have to be responsive to what your own inner likes and dislikes are at any given moment. I will latch onto a particular enthusiasm and follow it through maybe for a couple of years. Fortunately I’m at a point in my career now, with two orchestras and a lot of guesting work, where I can do that. I can put pieces in that I’d like to try out, and I’ll run them around maybe half a dozen times and get some fun out of that. But there is another side to it that’s purely practical. I love doing new music, and I love performing what we might describe as ‘unjustly neglected masterworks of a bygone era’. There is this practical concern one has to have as a conductor where you turn over a lot of repertoire. Study time is, of necessity, a bit limited, and if you do too much unusual repertoire, you have to have an eye to the repeating of that repertoire. It doesn’t make a lot of sense for me to be learning a piece, or to be learning lots of pieces that I know I’m only going to do once. It just won’t pay my mortgage for one thing, and it will involve me in endless hours and hours and hours of study that will be repaid very quickly and only once. That’s a sad fact to professional life, but it is there to be considered. BD: Now that you’re involved in this specific opera here, do you look for other places that you can put this work? SR: I certainly will. I don’t have any concrete ideas of what will happen with this piece afterwards, and in this country we are very guilty of one shot wonders. An opera company will pick up a piece, do it once and that will be that! They were all searching for the great American opera. In the meantime, pieces don’t get second and third performances. But I tend to champion pieces. Once I take them on board, I do tend to champion them. I mentioned earlier at the Opera Theater of St. Louis last year we did The Midnight Angel by David Carlson. It is a wonderful opera, and I then took that to my own company, Glimmerglass Opera in New York, and we gave another seven performances of it there. Then took it out to the west coast and gave another three performances with Sacramento Opera. So it did get fairly wide play, and that meant that the other producers were able to see the piece. So one hopes then that there will come another rash of performances. BD: Beyond what we’ve been talking about, what advice do you have for young conductors coming along? SR: Conducting is like playing the piano or playing the violin. You have to do it all the time. Obviously you develop musical skills, and it certainly helps to be an outstanding instrumentalist in any field, really. You should have a knowledge of the human voice. You should get started conducting, no matter what it is. If it’s a community orchestra, a brass band, a chorus, get up in front of groups and conduct a lot, even if they’re not very good. There will come a point where that will be the law of diminishing returns, and you don’t learn anymore by conducting bad groups. But you need to find yourself, and you need to be physically at ease with yourself and be in absolute control of your technique before you get on the podium of a major orchestra. I feel very, very strongly about that. Your technique will vary in shape, and the only way you can do that is by continual doing. You must also take care of the spiritual side. Take the time to watch other conductors rehearse. See what works in a rehearsal and see what doesn’t work in a rehearsal! There’s tremendous psychology and speed and technique involved in just getting what you want out of an orchestra, and the only way of doing that is just by sitting and watching people who are very good at it, and also sitting and watching people who are not very good at it! You almost learn more by doing that! BD: Sure, you learn not what to do. BD: Is it particularly pleasing to you now to get in front of a much better group and know that what you want to do can be accomplished faster? BD: You say you like modern music. Are you optimistic about the future of new musical composition? SR: Oh absolutely, absolutely! I think that there are many, many talented composers out there. A friend who runs Oxford University Press in New York just sent me a tape of some orchestral music of an American by the name of Gerald Plain, who was completely unfamiliar to me until last week. Here is a major compositional talent, and I will perform his music over this next year, I’m quite sure of it. I’m continually getting surprises like that. When I left Scotland a little less than fifteen years ago, I left a group of Scottish composers who were struggling; some of whom were writing really very good music, and I championed that music. But when I go back now, the number of extraordinarily talented young composers in their twenties and early thirties is phenomenal. There’s been a tremendous growth of creative output. BD: Is there ever a chance that we’re getting too much music? SR: I don’t think that we can get too much music. I love to hear new things. In a sense we’ve got off on the wrong track somehow or other in this century. If you look at the times of Haydn and Mozart, if it was five years old it was old fashioned. It was a situation that was roughly analogous to our pop music industry now. We’ve got completely away from that, and if you say ‘twentieth-century music’ you see them shrink back in horror. A lot of twentieth-century music is now nearly the music of the last century. We’ve got six more years to go before some of it’s going to be a hundred years old! It’s kind of appalling. In the past there has been a great interest in the process of this discovery in music, and I wish and hope that we can come back to that. I see something of a light at the end of the tunnel. We had this awful time in the middle of the twentieth century where composers a lot of the time retreated into their ivory towers. That is disappearing. We have composers who are being innovative. They’re paying attention to what’s happening in the more commercial side of music. Major and minor chords are back in again. I don’t mean we have to return to tonality, but there’s a refreshed look at tonality around, which is very exciting. The future holds many wondrous things for us all. BD: Good. Thank you so much for chatting. I appreciate it very much. SR: A very great pleasure! This conversation was recorded in a conference room of the Civic Opera House in Chicago on May 27, 1994. Portions were broadcast on WNIB the following week, and again in 2000. This transcription was made in 2014, and posted on this website at that time. My thanks to British soprano Una Barry for her help in preparing this website presentation.